Business organizations are greatly benefited from a solid online Presence. WordPress is a great option for small business owners to have an empathic presence on the WWW with a low investment because is easy to use, inexpensive and fully customizable. All business organizations continuously strive for growth in order to stay in the cut-throat competition in online business and make more revenues. The creation, optimization, and management of WordPress websites become an easy task if you use WordPress plugins. Different WordPress plugins allow professionals to add more features and functionalities to websites without doing the coding work, perform different SEO activities swiftly, and boost the overall outcome. So, which WordPress plugins are likely to skyrocket your online business? Let’s have a look at the list of WordPress Plugins compiled by us. We all know that the ranking of websites depends on the SEO quality. A website optimized with the latest SEO tricks are likely to rank well on all leading search engines and fetch more business opportunities. Practically, even the most experienced SEO professionals make silly mistakes while optimizing websites due to the lack of the appropriate SEO knowledge (which keeps changing every now and then) and by mistake. To check these silly mistakes, use the Yoast SEO plugin. Yoast SEO acts as a helping hand in WordPress Website Optimization as it comes with built-in SEO functions of WordPress. The plugin allows users to improve their content by helping them choose a keyword when writing articles and let them know that their keywords are distributed appropriately with color marking. 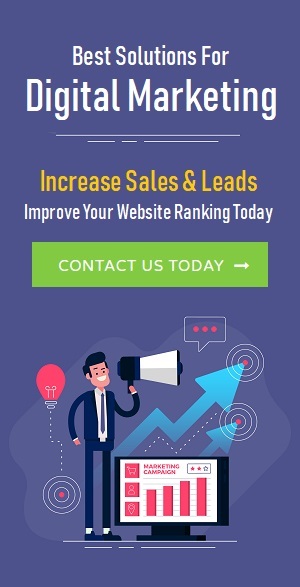 It greatly improves your SEO skills with a complete package of different features, such as automatically updated XML Sitemaps, editing of headings and meta descriptions, breadcrumbs, OpenGraph integration, RSS optimization, social integration, page analysis, and more. Zendesk offers flexibility, functionality and usability to its users. It is a good plugin for all resurgent WordPress websites. 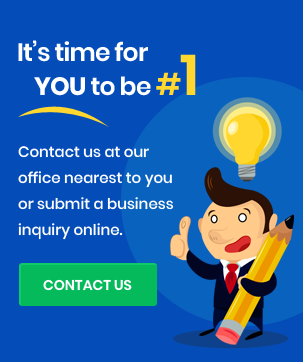 With its help, you can easily add a convenient contact form to your website or blog to receive requests from users and respond to them in a timely manner to make them 100% happy. Always keep in mind that happy customers act as a brand ambassador of your business, buy more from you, and add others to your brand also. A complete win-win situation for you when you eye for rapid development of your business in new domains and locations. We all know that an affiliate program is a form of business cooperation between a company and partners, in which partners attract users to the company’s website and receive bonuses in the form of a percentage or a fixed amount from deposits of new investors. Individuals doing affiliate business earn by helping companies to sell their products and services. Use ThirstyAffiliates if you intend to make money through affiliate marketing. Using this plugin, you can easily manage affiliate links. It allows you to add, hide and export links, automatically replace selected keywords with links. Purpose: To Create Mobile-responsive Websites in an easy way. In the age of modern web technologies, search engines get more queries from mobile devices than desktop computers. So, Google considers the site’s friendliness to mobile devices as an important ranking factor. In order to make websites responsive to mobile devices, one needs to have a strong command over website building skills. With WPtouch, creating a mobile version of your WordPress site becomes easier. Using this plugin can make your website easily accessible through different mobile devices, helping you to get more business opportunities. These days, entrepreneurs use Internet advertising to market their products and services easily and quickly and gain more business opportunities. Online advertising is financially suitable for companies and they are able to customize their business messages at any time as per the customer’s preference. Generally, online advertising includes several important works, such as the formulation of advertising campaign goals, determination of the target audience, development of a particular advertising strategy and promotion program, implementation, and monitoring performance indicators at regular intervals. AdSanity is an appropriate plugin to manage advertisements. With Adsanity, adding a new ad is as easy as adding a new post to your WordPress website or blog. Because of the availability of a variety of widgets and shortcodes, you can easily place ads on sidebars, inside posts and on pages. You can create both temporary (displayed over a specific period of time) and endless (displayed until you delete them) ads as per your specific needs. This plugin shows the user charts and statistics, letting you to know the performance of your ad campaigns. The availability of too many broken links on your website decays your web-based business little by little. Broken links are links on your site that lead users to non-existent pages. 404 pages create a bad reputation of your brand in the eyes of visitors. Google calculates broken links to determine the ranking and usability of websites in its SERP. Search engines do not like sites that contain too many broken links as it would displease visitors. It is very difficult for a website owner or admin to search and fix broken links manually. Just install this plugin on your website. It will automatically find broken links on your website and make you aware of it. You can fix them to make your website more useful for visitors & get more business opportunities every day. WooCommerce is a good plugin for all those individuals who want to try their luck in the E-commerce business with a little investment. This plugin allows you to create online stores with a wide range of functions. It is available free of cost to all and the plugin is compatible with hundreds of free and paid WordPress extensions Currently, WooCommerce powers 30% of all online stores. It is a fact that a safe website attracts more people that a site is highly prone to different types of online security threats. So, all WordPress website owners must be careful about the security of their sites. Wordfence provides an additional level of protection to your website from hackers. It automatically blocks the IP addresses of bots trying to access the site. You can set up receiving notifications in case of suspicious activity on the site to eliminate security risks quickly. The premium version of the plugin includes professional technical support. All SEO professionals use Google Analytics to analyze the performance of websites, know the effectiveness of their SEO campaigns, and find out what is working or what is not working. 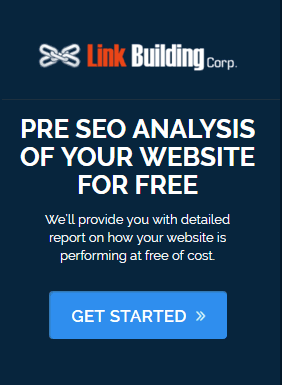 Using this plugin, you can get different types of reports in real-time and make necessary improvements in SEO campaigns to increase the ranking of websites on the web and get more business opportunities every day. Different WordPress plugins allow you to easily add more features and functionalities to your website, perform a wide range of digital marketing activities smoothly and skyrocket your web-based business. Use these plugins to automate your WordPress life and fetch more business opportunities.